We are pleased to present one of our favourite digital projects for the talented group at Contrast Foundry. Recently, they have helped us with some of our external projects, so it was an honor for us to create a site for this group of enthusiastic creatives. 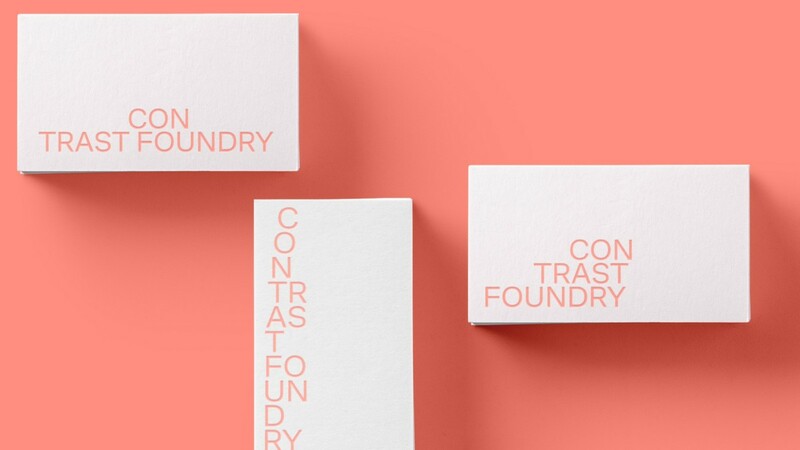 Contrast Foundry is a design team based across Moscow. Striving to develop individual fonts, logos and licensed solutions, their list of global customers continues to grow. Firstly, we used our very own Contrast Foundry font throughout the website with the appropriate name - Contrast Foundry. This is a cool little addition, as we feel that it helps unite the spirit and personality of CoFo. The ability to create a site using your own creation felt really natural. Since the website is rich in text, and utilises a lot of black and white spaces, we decided to add a bit of pink pop to the site pages. This is easy to notice when you hover over text and highlight aspects of the site. 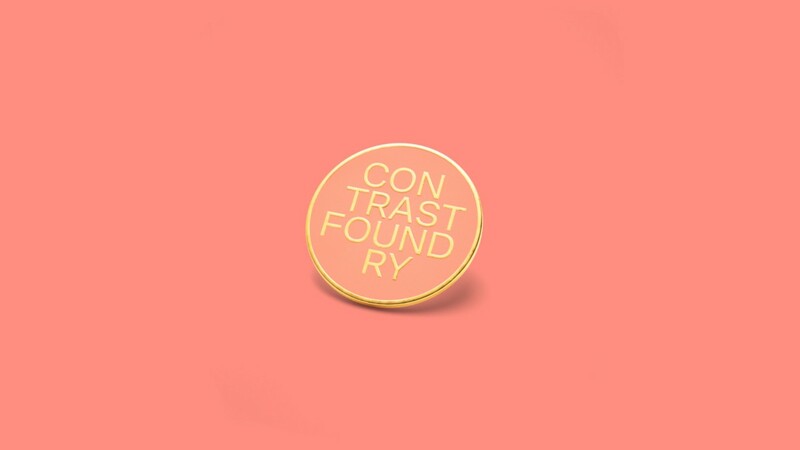 This soft pink also worked great for our logo. It’s very strict, but becomes quite playful with the addition of some random animations when switching between pages. This strict logo design and the use of our custom designed CoFo font works very well within the information circles of the website. For example: the font style and size meters you see across the headset section. The ability to play with such fonts and logos was very interesting for us. If you didn’t know, CoFo also sell their own fonts, as well as creating their own fonts for their customers. In addition to our branding, it was extremely important to present CoFo not only as a creative body, but also as a store where people can use their creative skills, and be able to acquire their fonts for their own design needs. All this information is easily accessible whilst browsing. We even increased the focus by adding a persistent blur effect that can change and move with every mouse click, depending on its movement - thus helping to keep our eyes on important information and avoiding distractions. 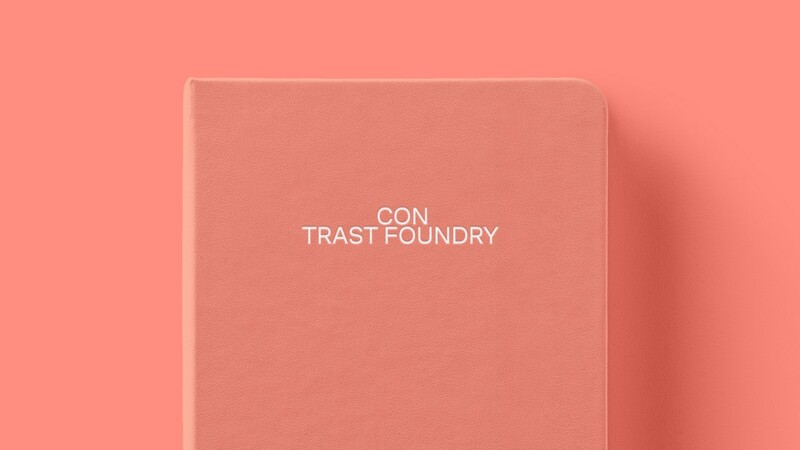 We like to think of it as a visual metaphor, for a name that is - Contrast Foundry. One of our proudest accomplishments is our detailed fonts page. It provides users with a super convenient platform which literally allows users to test all CoFo fonts. We even gave users the ability to type their own text to see exactly how the font works for their specific needs. This feature allows you to conduct comprehensive type testing, compare and, at the same time, allow users to do it smoothly, easily and in real time. You can navigate through live animated zones and get detailed information about the selected font type, weights in which they are available, and even information about all sources of fonts. Everything you need is here. On the right side, we went even further and added CoFo examples of their fonts and how they can be used amongst a variety of printing options. To summarize, if you haven't noticed yet, this blurred effect also takes place across inactive areas of the site. This “focused effect” becomes active even when the cursor moves off the web page. It’s almost as if an elderly person has dropped their glasses - although, we like to think of this as giving your eyes a rest when you’re not paying attention :).